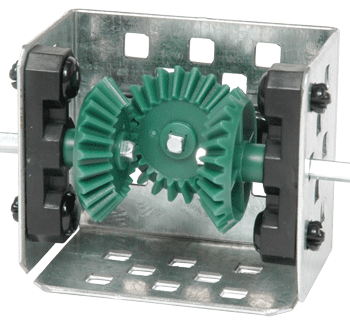 Use additional standard VEX EDR Motion Products (not included) to utilize this bracket with VEX EDR Bevel Gears. There are two Bevel Gear Brackets included in this kit. More information on the advantages of these advanced gears can be found in the VEX EDR Curriculum. 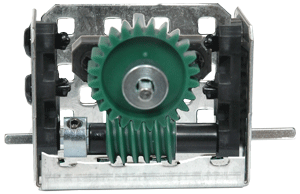 Attach this bracket to the Rack Gear v2, and drive it with a pinion gear to transfer motion linearly. More information on the advantages of these advanced gears can be found in the VEX EDR Curriculum. Metal only. Gears not included.